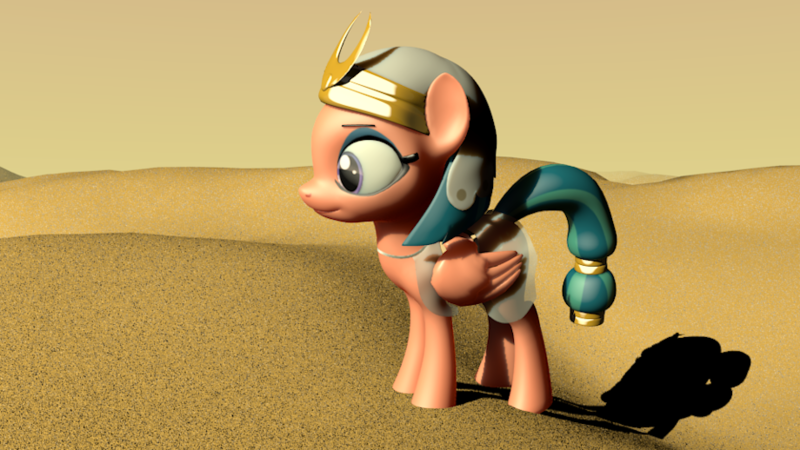 I had an idea for clop like an Egyptian horse but somehow didn’t mind that I couldn’t find an already made model in a few minutes. I lowered the ears and made them larger to fit reference, and mane, tail, shroud, & headdress are from scratch. And have a bit of desert to lessen the void. Didn’t bother posing.